On the surface the singing of Hunter Pence to a minor league deal by the Texas Rangers did not merit a ton of recognition. Now at the age of 35 it feels like it has been years since Pence was a three-time All-Star or even a shell of the guy who could be penciled in for 150-plus starts in the outfield. 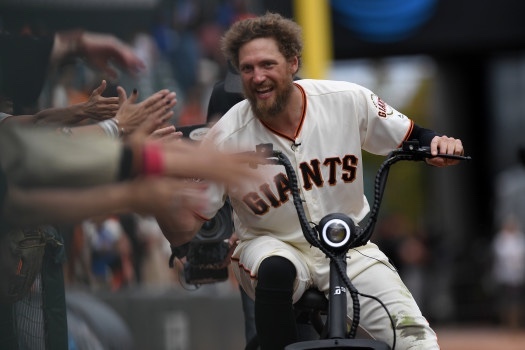 Hunter Pence is getting older. We all are. I had the pleasure of seeing Pence play at Double-A Corpus Christi back in 2006. Honestly I knew he had a good season there but I confess even I was surprised he hit 28 homers. Even with my questioning of that stat, it was pretty clear that the then 23-year-old was headed not just for the majors but that he would be something special on and off the field. A year later he made it to the majors. I remember being in Arlington and when a few Fans of the Rangers would try and taunt him others were quick to point out that he was a local and that saying those things were not nice. What wasn’t nice was that Pence’s assent into the majors happened to occur at the point where the Houston Astros were descending, tanking, playing for the future. However you would like to label it. 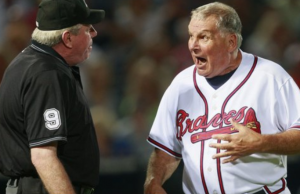 He would be sent to the Philadelphia Phillies during the 2011 season. Pence lasted a total of 155 games with the Phillies before he was sent packing to San Francisco midway though the 2012 season. Want to talk about instant dividends? Pence was part of the 2012 World Series winning Giants and added another ring in 2014. And sadly after that time caught up. Pence would have trouble staying on the field and when he was there regularly the production had fallen off. Last September the Giants gave Pence a fitting send off though the outfielder had said he planned to continue playing. My oldest son reminds me a lot of Pence. He gets those crazy eyes sometimes and when you watch him in the on deck circle you kind of wonder how this guy ever hits a baseball. And then he does. It’s worked for 12 years for Pence. I wish CJ was a little more laid back like Pence is, anyone who has seen his social media can speak to that. 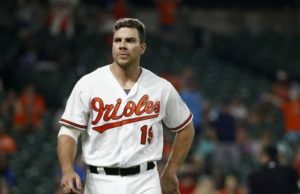 Given his production, age and a difficult market it was clear from the beginning that Pence would have to accept a minor league deal if he wanted to continue playing. Pence could help serve as a right handed bat to a lineup dominated by lefties. Or he could just as easily fail to make the team. The Rangers are not going to contend for the AL West or even sniff a playoff spot this year. Whether or not Pence does anything with the Rangers hardly matters. While he has connections to the area he was never going to play on the Rangers when both were at their best. 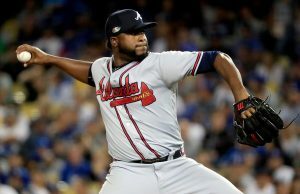 Now that both are down he comes with a chance to continue playing, maybe offer them a guy to flip at the deadline or he could just as easily never make it out of spring training. Again, no real organization ties. When I first heard of Pence signing with the Rangers I made a brief Facebook status update and went about my day. It was not until I was ready for bed that I really considered it all. Hunter Pence is aging. We all are. Wow.